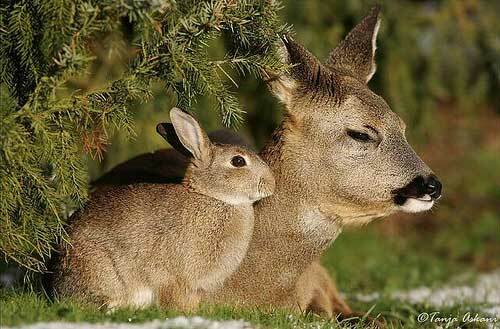 Interspecies friendships are awesome. 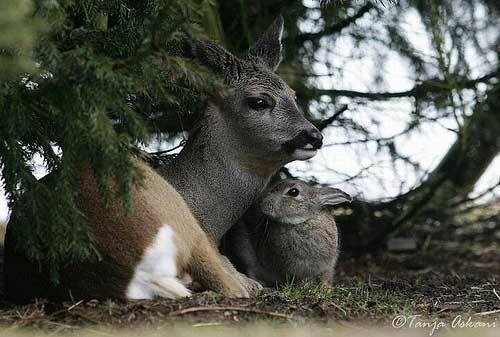 Here are some photographs from Tanja Askani of a deer and a rabbit who are apparently pals. Czech author and animal scientist Askani lives with her husband at a game park in Germany. Originally, they had established the falconry at the park, bred raptors, and presented bird shows with their birds of prey. When her husband brought her an orphaned three-day-old wolf pup, Askani’s entry into lupine life began. Flocke (“snowflake”) was weak, requiring the intensive care of both Askani and her dog, yet eventually thrived. The bond between Askani and Flocke survived the wolf’s return to the game park and her pairing with another hand-reared wolf. Their daily interactions, including walking around the game park on leashes, gave Askani great insight into the world of the wolf. Having a wolf pack (a third, younger male was added later) that totally trusted the humans among them — and, in fact, treated them like auxiliary wolves — meant that intimate observations of wolf behavior were possible. Although the writing and the translation are a bit choppy, the charming, diary-like writing style and the plethora of color close-ups of the wolves will enchant wolf lovers. 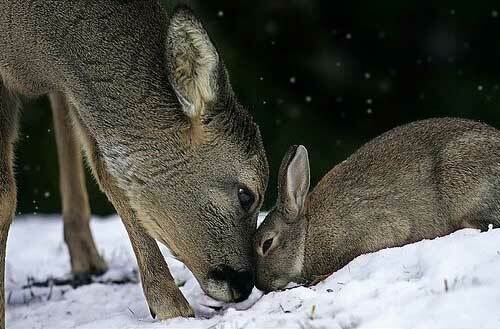 There are 20 reader responses to "Interspecies Friendship: Deer and Rabbit". You find the *best* animal stuff. The last photo SUPER CUTENESS! But I love all the photos. 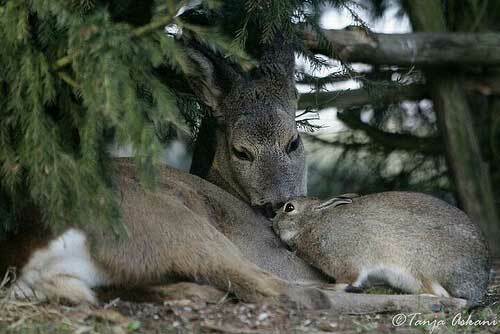 The bunny and the deer look lovely together, and the baby bunny or squirrel is sooo cute. Can these photographs be purchased from the author? I would love to have one of them framed? 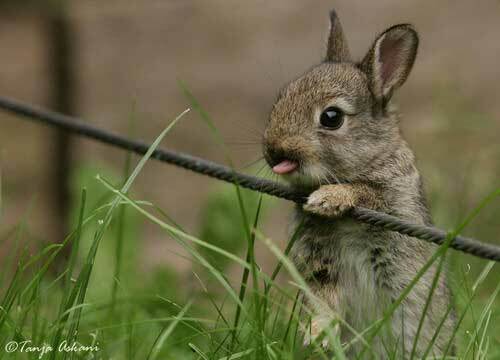 The bunnies tongue is so cute! lol I want a bunny now!! 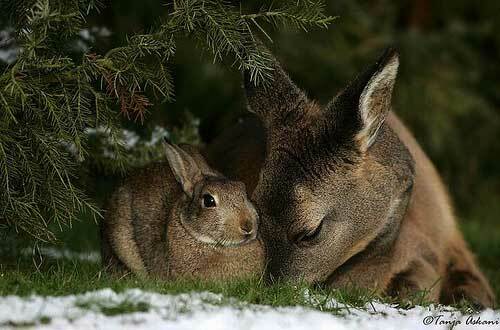 I’d like to purchase a print of the deer and rabbit photo. Can you tell me how to do this? Thanks. Is it possible to order the prints of the deer and rabbit? I would love them for my baby’s room. I wish I could see something like that when i’m out in the woods hunting… That would be a perfect kill, a rabbit and a deer! Sway, you’re not much of a hunter if you’d shoot a deer that small. The photographs are beautiful. On a difficult day, I like to look at these photos. It reminds me that there is purity in the world and life IS good. The photos fill me with peace. Wow, those are amazing pictures. <3 You’re good! 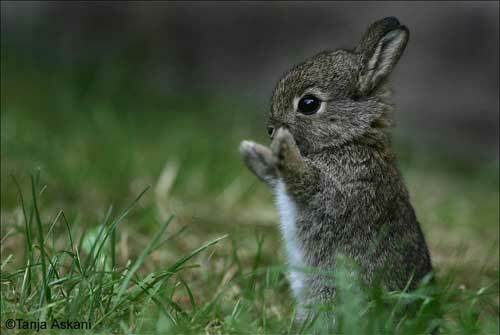 I’d love to copy and paste one of those baby rabbit pictures for a rose gardening display. How/who do I contact for permission? 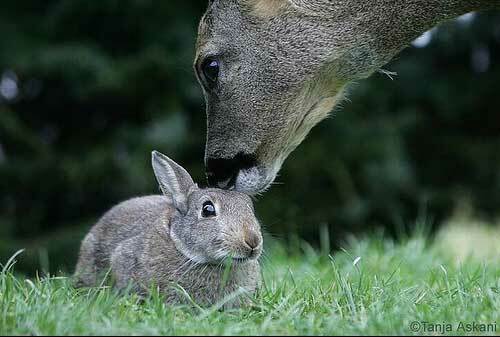 I would like to use one of the deer/rabbit images on one of our training datacards. Please advise how I can get hold of an image and get the photographers permission to use it. 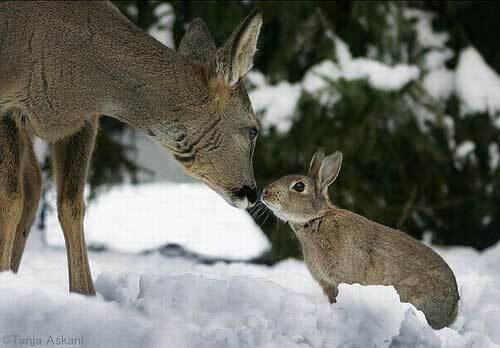 I just love all of the pictures of the deer and the bunny. Excellent !!!!!! Your pictures are amazing. I love taking pictures of wildlife myself. Do you sell your pictures? If so please let me know how to order.